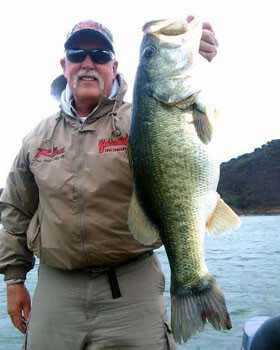 Lake Comedero is Mexico’s best Trophy bass lake for fish 10lbs or larger. It’s a beautiful mountain lake nestled in the Sierra Madre Mountains 100 miles northeast of the seaside resort city of Mazatlan. Its clear cool water is teeming with thousands of hungry Mexico black bass which will strike almost any type lure all year. 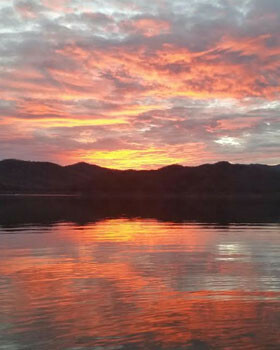 Without any doubt, Comedero is the world’s best bass lake for numbers of bass from 8 to 12 lbs with some bass ranging from 12-15 lbs. Daily catches average 40 to 60 fish per day per boat. It is totally a catch and release lake. 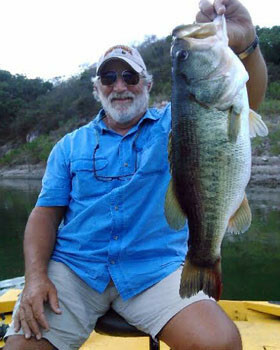 Comedero Bass Club began stocking Florida strain bass in 1989 and continued until 1997. 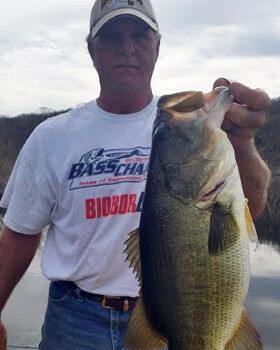 Chris Brewer of Iowa landed a lake record bass of 18 lbs 4 oz. 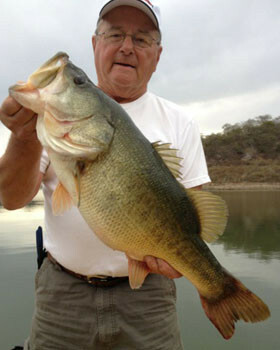 Years later a new lake record of 19 lbs 6 oz was caught by Ray Newman of Oklalahoma. 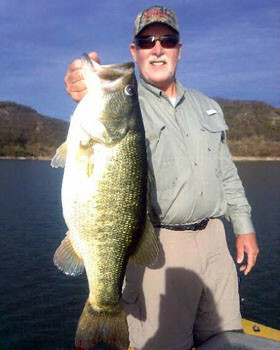 Since then we have seen bass landed of 18, 17, 16, two 15, and a 14 lb as well as numerous 10-13 lbs. 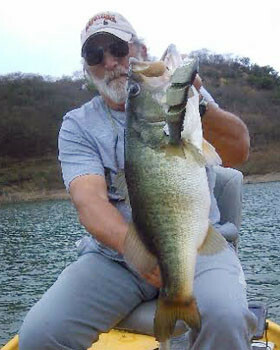 The lake record is still 19lbs 6oz but we have to believe there are some new lake records swimming around in Comedero. Who knows, maybe a World Record? It certainly has the very best conditions for growing a world record with the year-round warm climate (bass feed year-round), high protein forage to include Tilapia, tremendous depth and cover for protection, and — most importantly — very little fishing pressure. Our clients stay in a small, quaint lodge which is reflective of the true “Old Mexico.” The 2 main houses offer 4 bedrooms, with individual A/C units in each bedroom to assure your comfort. Purified bottled water is furnished in each house and is completely safe to drink. After a great day of fishing Comedero you are welcomed to the camp with complimentary margaritas and hors d’oeuvres delivered directly to your house. The wonderful menu consists of a variety of foods. Your day begins with coffee & fresh orange juice delivered to your house. Breakfast offers a wide selection of local fresh fruits, hot biscuits, bacon, eggs, pancakes, hash browns, coffee, and fresh squeezed orange juice. Our lunch consists of fresh fish fillets, french fries, and all the trimmings on certain days and huge Angus burgers cooked on the grill on other days. Dinner is an absolute FEAST each night with a menu of succulent charcoal-grilled 1 1/4 inch ribeye steaks, shrimp, lobster (when in season) and delicious side items to include homemade guacamole and salsa. We specialize in great personal service! We do the work and let you have all the fun! Lodge capacity is only 16 people, so advance reservations are an absolute must! 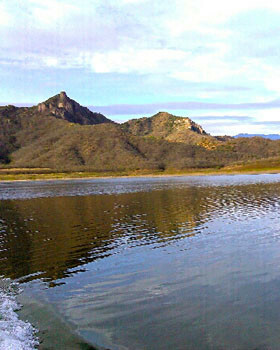 RSJA offers you Mexico Bass fishing and lodging at its finest. 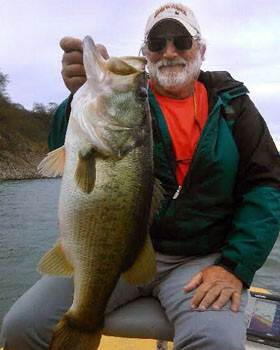 The thrill of the strike, a trophy-size catch, Mexican cuisine, and a great time with friends in the beauty of Mexico’s majestic Sierra Madre Mountains. 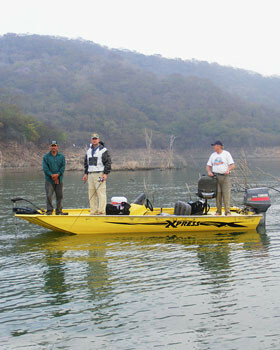 Mexico, “a very special place to fish.” Come, live you dreams.